A latest-generation production model for the furniture industry, fully automated with robotics integration. This is the focus of the “Smart&Human Factory” Open House, to take place January 31 through February 2, 2019, at the SCM Headquarters Technology Center in Rimini. It will be a true and proper window on the future of smart manufacturing during which SCM will present its new and exclusive, flexible, modular and easy-to-reconfigure digital and automation systems, designed to meet more effectively and quickly the growing needs for mass customization and for Industry 4.0 implementation. The Open House slogan, “You’ll Never Work Alone", well summarises the objective of the new SCM line of products: to employ as friendly automation as possible in order to not only greatly simplify work at the factory by making it more efficient, but also to create a new model of interaction between man, robot and machine in open and safe cells. This marks a progress also on the work front: the operator is now relieved from performing risky and repetitive activities and can dedicate his time to executing tasks that have higher added value. 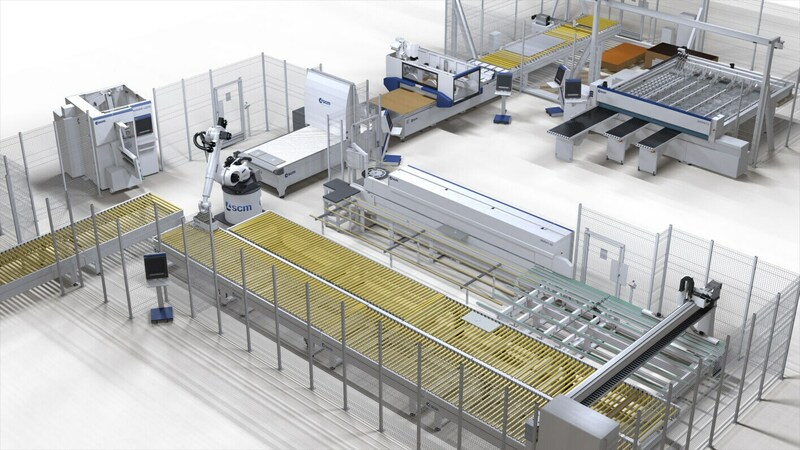 During the event, SCM will present an actual application of its “Smart&Human Factory” concept: a fully automated furniture production system to be used in all phases of the production process – from the standard panel to the assembly of a cabinet – where the operator is assisted by Kuka industrial robots when required to perform risky or low-added-value tasks; by collaborative Universal Robots during the final stages of assembly, hardware insertion, glue dispensing and finishing – all performed safely without the need to set safety partitions or barriers; and by collaborative Autonomous Mobile Robots (MiR) used for flexible interconnections between the different cells and islands. 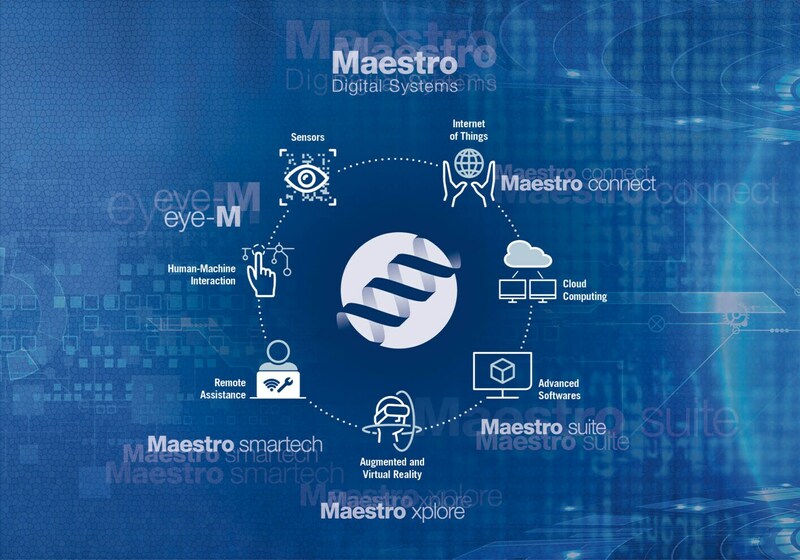 All of this is managed and optimised by the Maestro Watch supervising software application which monitors the status of each processed product throughout the entire production cycle, and is integrated by the IoT Maestro Connect system, the SCM machine data collection and analysis system which offers, on the one hand, full control over the production flow and, on the other, an implementation of smart and predictive maintenance models. 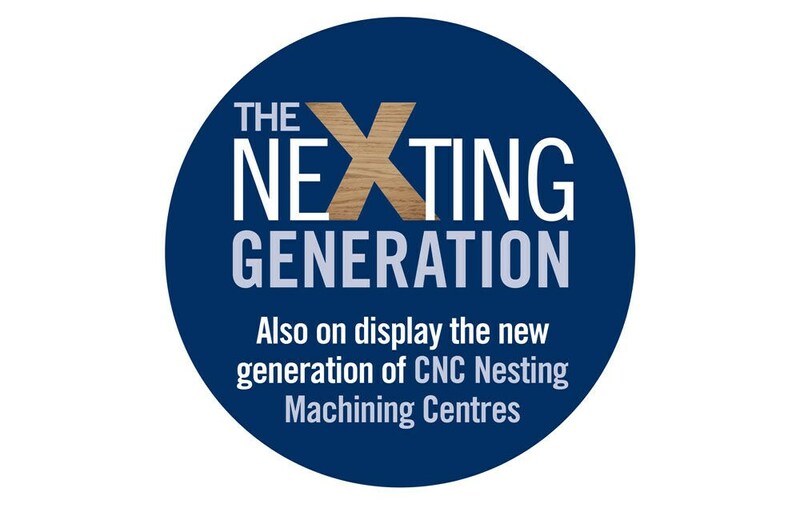 Visitors will be able to witness the production of four different types of cabinets following a process that will seek to optimise panel cutting, edge-banding and drilling operations as much as possible, reducing waste, scrap and machine retooling upon job change, then assembling the job parts and performing the requested customisation. The use of collaborative robotics will be introduced in all phases of production, perfectly integrated with SCM’s top of the line machines. Leading the way is the new CNC morbidelli machining centre, shown here for the first time and designed to perform this type of machining employing the best features of morbidelli's All-In-One technology for 5-axis panel machining centres. With the new morbidelli ux200d CNC centre which now comes with the innovative dual variable-axis broaching system. Application of the sideboards and gluing the panels, where necessary, then moving to the action p clamp for a precise assembly and an efficient squaring of the furniture product. This part of the process is also part of the new "Smart&Human Factory” model; this is where the cabinet doors will be machined using a dmc system, designed to meet the needs of medium- and large-sized companies requiring the highest sanding and finishing quality. 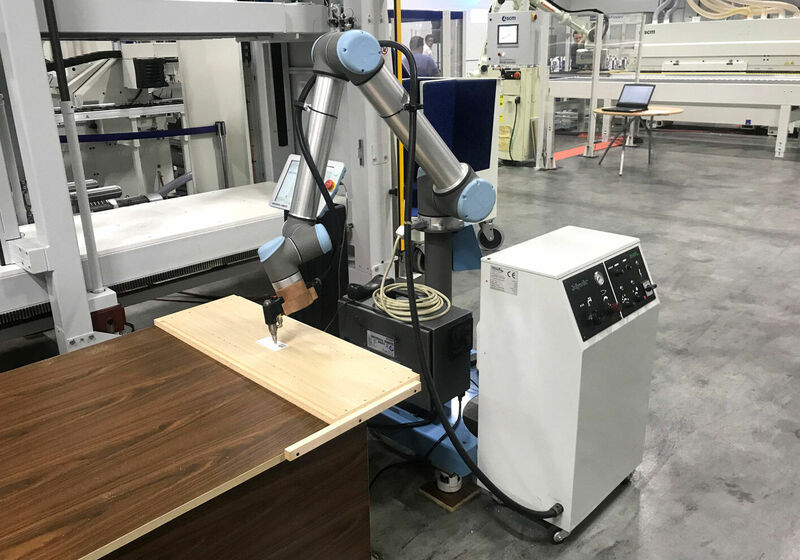 After the sanding machine, another collaborative robot will render the cabinet doors’ finishing quality even higher. In this technology, special importance is given to the stefanicell, the new generation of cells processing "batch 1", with high technological content solutions, even with low investment, and to the new bridge system "pickback", consisting in the automatic return of the panels, thus allowing simple management and "just in time"production. Expectations from the new range of Morbidelli CNC Nesting machining centres are high as well. 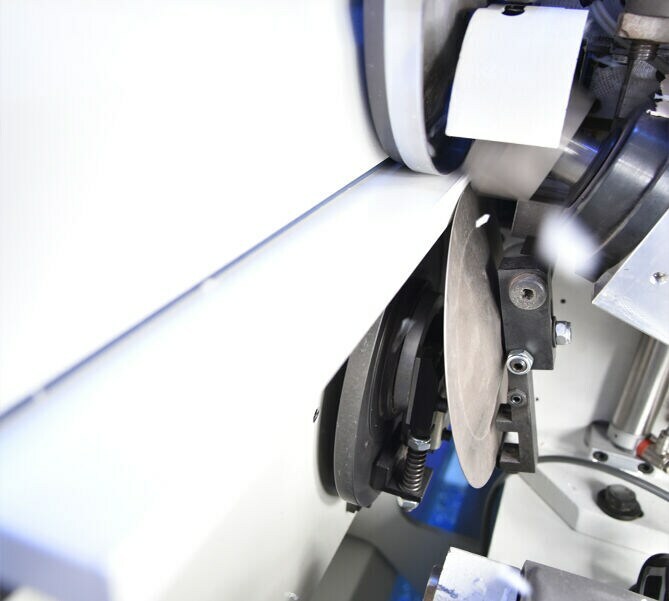 It will be presented at the Open House and was designed to meet the needs of a market that is oriented more and more towards Batch-1 type of production, and must therefore combine high speeds and maximum flexibility when performing panel cutting operations. From the worktop to the drilling heads, from the machine footprint – becoming less and less invasive and its use more and more functional and smarter – to the innovative tool magazine: every detail in these new machines has been designed with meticulous care in order to facilitate the execution of all the required machining operations with high efficiency, top quality and with an eye towards the latest market trends. On view at the SCM Technology Center during the Open House, alongside the new products associated with nesting and automation, there will also be more than fifty models for each industrial production process, including the accord, superset and balestrini machines for solid-wood processing; the popular L'Invincibile, class, nova and minimax machines for small carpentry shops; the gabbiani cutting solutions; the stefani and olimpic models for edge-banding; the superfici finishing and painting systems; and the cnc machining centres for timber construction.